Aman Resorts has long been known for the refined, minimalist, Zen-inspired design favored by its legendary founder, Adrian Zecha. Given this prevailing aesthetic, it is hard to believe that only now is the company building a property in Kyoto, home to many of Japan’s most sublime Zen temples and gardens. Scheduled to open in November, the resort is set in the verdant and secluded foothills of Hidari Daimonji mountain, amid grounds that four centuries ago were home to an artistic community that gave rise to the important Rinpa school of painting. 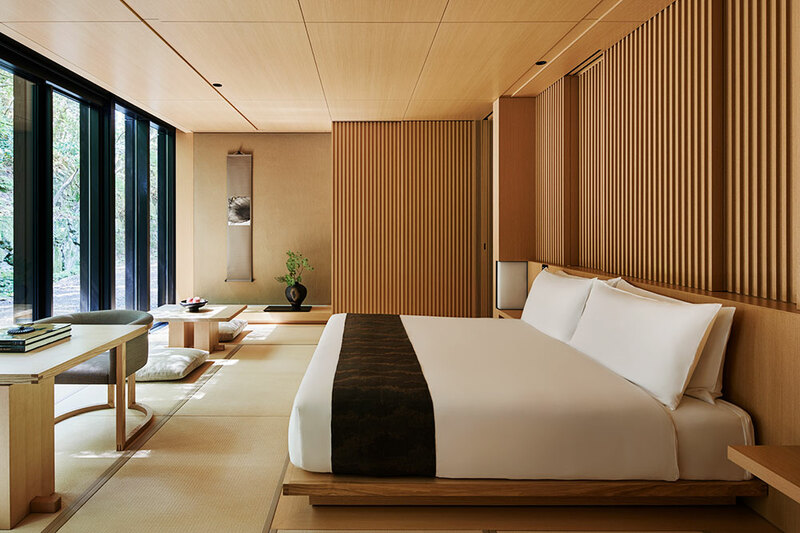 Aman Kyoto will offer light and spacious guest pavilions that are intended to promote an atmosphere conducive to deep relaxation and contemplation. A signature restaurant will showcase multicourse kaiseki Japanese haute cuisine, while a second venue will offer home-cooked obanzai-style dishes in a less formal setting. Taking advantage of the waters of a nearby spring, the spa will provide traditional onsen bathing facilities, as well as treatments employing natural Japanese ingredients, such as green tea, sake, silk cocoons and camellia oil.